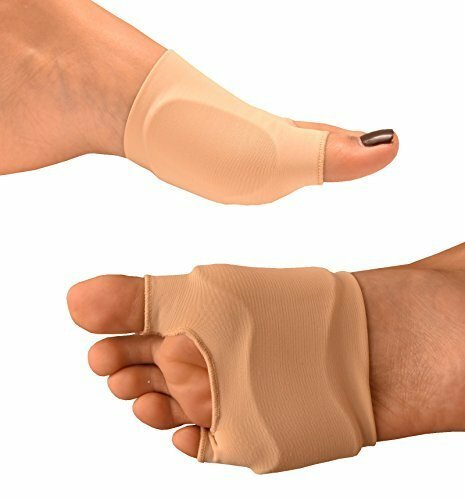 - Relief for bunions on the big and little toe simultaneously - Reduce pressure on both bunion joints - Also cushions metatarsal head (ball of foot) to make every step easier. - Anatomically-shaped gel interior redistributes pressure from the impact of walking or running for superior comfort. Feel the impact pressure dissipate! - Fits either left or right foot - Flip product inside-out to wear on opposite foot. - Please select your size from the drop down menu above: Medium Size 3-7, Large Size 7-12. Machine Wash at 30°C and hand dry. Relief for bunions on the big and little toe simultaneously - Reduce pressure on both bunion joints. Also cushions metatarsal head (ball of foot) to make every step easier. Two toe loops keep the Comfort Gel skin from sliding - Redistributes and eases impact pressure from walking or running. If you have any questions about this product by Medipaq, contact us by completing and submitting the form below. If you are looking for a specif part number, please include it with your message.